SO Finance is a binary options signal provider & they self-acclaimed themselves as the UK’s No.1 binary options trade signal provider. They made their entry into the binary options market quite lately but, however, they already made some buzz in the trade industry. Recently, some of the online traders got emails from them and they seem to be much interested in this new platform. However, few of them are confuse about this service whether they are reliable or not. And also, we got many requests for writing a SO Finance Review. So, in response to our viewers, we have done a research and gathered some information about So Finance and come up with the genuine SO Finance Review. 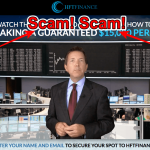 We are not 100% sure that SO Finance is a scam, however, at the same time, it’s really tough to get your belief on the online signal provider. So, that’s why we are putting here both the good and bad side of this platform. You will get to know by yourself, why So Finance is not cent percent safe and a reliable option for trading. The so-called UK’s number one binary options signals provider has many things uncleared, and it lead us to consider it a dubious signal providing platform. As per them, they are the company who are giving the most accurate trading signals to their clients and that’s the reason, all of them get the most successful trading experience. 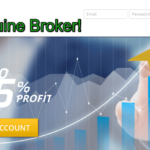 And, with SO Finance, they have made many happy customers who are doing trade with their signals on a continued basis and gets the successful trades and make profits easily. So, here we discuss on the each and every important point regarding SO Finance. The binary options trading signals providing platform SO Finance has no information regarding the owner or developer. Only the things we get to know from the official website is, the SO Finance system is developed by a team of market and trade analyst who has the over 20 years of experience. 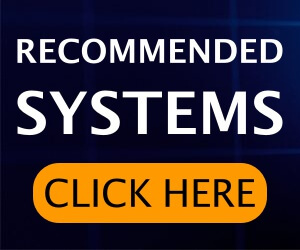 All the experts are dealing with current market status, observe the market scenario, they have knowledge of dealing with complex algorithms and have in-depth market knowledge that makes the signal providing platform number one in the UK. All these information are quite impressive and looks genuine. But, they have never shared information about the team members and software developers. Even we don’t know who own the SO Finance company. We think they should maintain a transparency in such matters as it creates a trust factor over the users. They have a team of specialists who operates 24 x 7 around the clock and study, observe and uploaded respective data into the platform server constantly. So, it means they are constantly trying to upgrade their servers. That’s actually a good way to provide all the recent and latest data to your users. And if it’s true what they are saying, then in that way, the system can able to perform better financial related operations, predicts more accurately etc. SO Finance – Trial and Subscriptions are Strange. Although they offered a 14 day free trial period but, the paid subscription of this service seems strange to us. After the free trial periods expires, users need to transfer the required amount to them, only after that, they will send the authorized version of SO Finance software to the users via WhatsApp. It looks very odd and strange too. Why would a company send the software through WhatsApp? There are many others who prefer to email service than any others. So, to get the authorized version of the software, users need to specifically install WhatsApp app on their smartphone. It might possible that, not all of the traders like or use whatsApp, but in order to get the trade signals you must have to use WhatsApp. Moreover, it’s quite unusual that a binary options trade signal platform chooses a third-party app for sending the software. Here, we got the monthly subscription packages of SO Finance system. There is a 3 category of subscriptions – 1 month, 3 months, 6 months. One of the oddest and strangest things we have ever see on a binary options trading system is, they are offering you Free t-shirts with the subscription packages of 3 months and 6 months. That’s sound very peculiar, a free t-shirt – seriously? 1 Month Subscription: price £ 69.99. Also, there will be some bonus and special features. 3 Month Subscription: price £ 189.99. There’s a discount of 10%. Also, bonuses and special features are there along with the free t-shirt. 6 Month Subscription: price £ 335.99. And the discount is 20%. It has also other features and a t-shirt available with this subscription package. 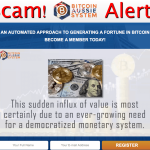 They only talking about the software that it has made many happy customers and help them to win trades. But, they are not providing the estimated success rate on the website. That’s very important and as a binary options signal provider, they must provide the success rate of their trade signals. Unfortunately, it lacks here by providing the data. So, it seems very dubious or suspicious to us. They will send the desired signals in between 6 and 12 and the users need to choose the best one among this specified time period. Also, they have customer support team as well as a mentoring service. But, we found some unreliable activity on the customer support service. And the mentoring service will give you the general trading advice which you can gather from anywhere on the web. There’s a news section on the website on which you will get all the financial market related news. Although, it’s pretty unusual in a binary options trading system but we feel it pretty much good. Final Verdict – SO Finance is not enough reliable for trading. So, this is our final verdict of SO Finance Review. We couldn’t find enough strong points or sides which can lead us to say, it’s 100% reliable and safe. But, unfortunately, we can’t say like this. It will be better if you do not go for them. Rather choose a reliable trading platform like CodeFibo app, so that you do not need to regret later. 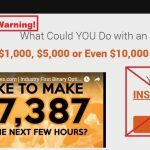 Option Figures Calculator Review – Scam or Really Working?